The weird weather in these parts continues with daytime high temperatures in the 40s and 50s this past week. Got up to 55 yesterday. 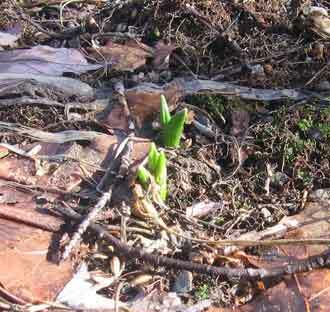 I checked this morning and some crocuses are poking up out of the ground here.